Female Registration Lags in Helmand | . :: Elections 2014 ::. Getting Afghan women voter cards has proven a challenge for the Independent Election Commission (IEC), which has made the female turnout a top priority this election cycle, but southern Helmand province is said to be an especially challenging environment due to strict traditional values and the lack of female registration employees. With the end of village voter registration this past Monday, the IEC’s voter registration process enters a new stage in which those who wish to get voter cards will have to take it upon themselves to travel to provincial capitals to visit Commission offices. Over three million Afghans have been registered nationwide, but officials have expressed dissatisfaction with the number of Afghan women with voter cards as the final and most drawn-down stage of registration begins. According to Helmand provincial IEC officials, out of the total number of registered voters in the province only 30 percent are women. The IEC office in Helmand as well as the central office in Kabul declined to provide the exact numbers of residents registered to vote, or just the amount of women with voter cards, but all agreed there have been many challenges during the registration process in the province. 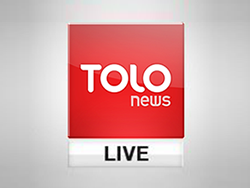 “Female turnout in voter registration process in Helmand has been weak, we are really concerned about it,” Helmand IEC head Qudratollah Naqshbandi told TOLOnews. He maintained that the traditional values that keep women from engaging life in the public sphere were preventing Helmand women from registering to vote. He also said that lack of adequate numbers of female IEC employees to service potential female voters was a major issue. Although the IEC will keep registration services available around the country until a week before the election day on April 5, they are only provided in provincial capitals. Civil society activists and government officials have called on Afghan women to exercise their right to vote and register for the spring elections. However, with the last stage of registration starting, the window of opportunity to make that happen is rapidly closing.